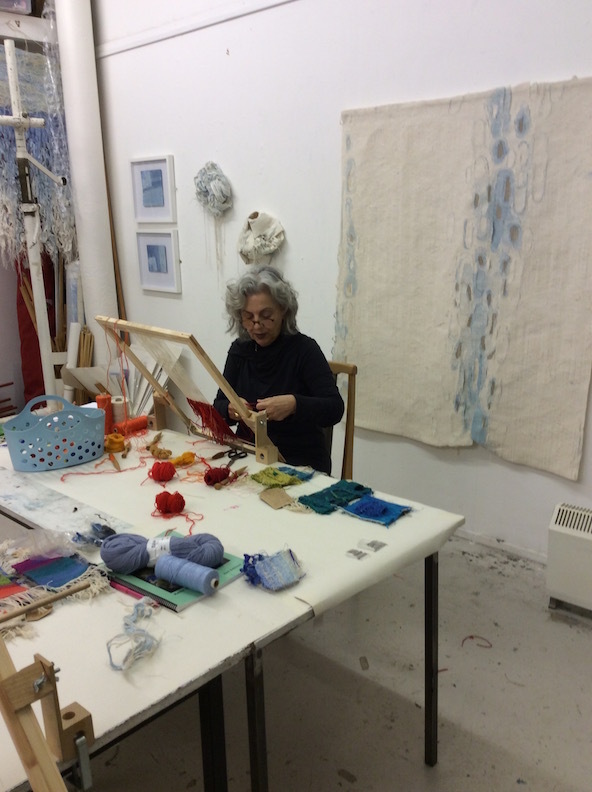 American – Italian tapestry artist Dorina Scalia travelled all the way from the USA via Venice to study with me at Patriothall studio. The 3 day program of study has introduced her to a range of new techniques in 3D weaving. We also managed to fit in a quick visit to the Dovecot Studio to view the work in progress on the weaving floor and see the exhibition Bathes to Bobbins, celebrating ten years of the Dovecot Studios at the Infirmary Street baths.